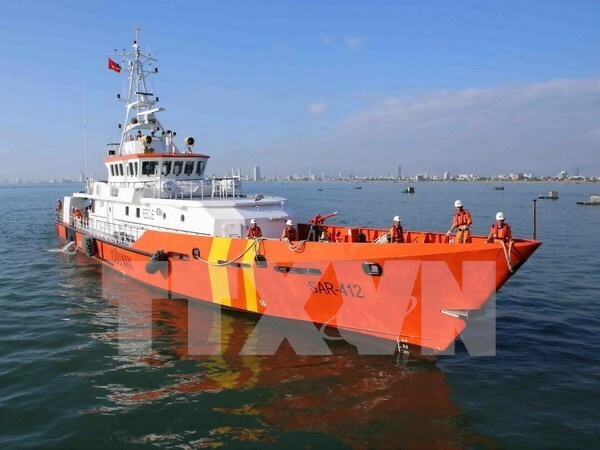 Da Nang (VNA) – Seven out of the nine fishermen on board the distressed boat QNg 98997TS in the central province of Quang Ngai were taken to the mainland safe and sound on March 18. Earlier the same day, the boat broke and sunk around 41 nautical miles off the shore of Da Nang . The nine people were then rescued by a ship coded SAR 412, sent by Maritime Search and Rescue Coordination Centre Region II.